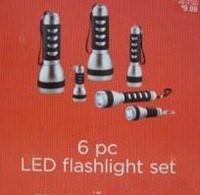 Target is recalling about 55,000 LED flashlight sets after receiving reports of two injuries due to the flashlights overheating. A total of four incidents have been reported, including two in which the consumers reported minor burns to their hands. 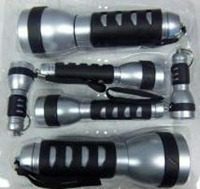 The LED flashlights came as a package of 6, according to a release issued by the US Consumer Product Safety Commission and Target. The flashlights can heat up, smoke and melt, and they pose a fire and burn hazard. the flashlights were sold through Target stores from October 2010 through December of 2011 at a price of about $10. Target is asking shoppers to stop using the flashlights and return them to any Target store for a full refund. They are also providing a number for shoppers to call if they have questions, 1 (800) 440-0680. Target also has additional information on its website at Target.com.